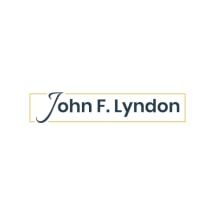 The Law Offices of John F. Lyndon is a single practitioner law firm providing legal services in the area of divorce and family law, including child custody and child support, visitation issues, and modification and enforcement of court orders. John Lyndon has over twenty years' experience as a practicing lawyer and litigator, the last ten years of which have been primarily devoted to the practice of family law. In 1999 he was certified as a Family Law Trial Advocate by the National Board of Trial Advocacy. The goal of the firm is to provide our clients with the highest quality representation, in an efficient, effective, and personalized manner. Our trained, experienced support staff and advanced technology enable us to handle your matters with economy and precision. And because of our team approach we can provide you the personal interaction, responsiveness, and accessibility that will help you survive what can be a very stressful, emotionally-charged experience.